Queens Station is located at 232 Queens Rd. in Charlotte, North Carolina. Each unit ranges from 600 to 1100 square feet and has an average of two bedrooms and one bathroom. Rooms, including the great living room have many windows giving the condo plenty of natural light. A fireplace is in each condo and the kitchens are large and fit for any cook. The porch or patio outside each condo is a wonderful place to sit and read a book or just enjoy the great weather along with the pool area in the center of the buildings. At least one to two parking spots are available for each unit. 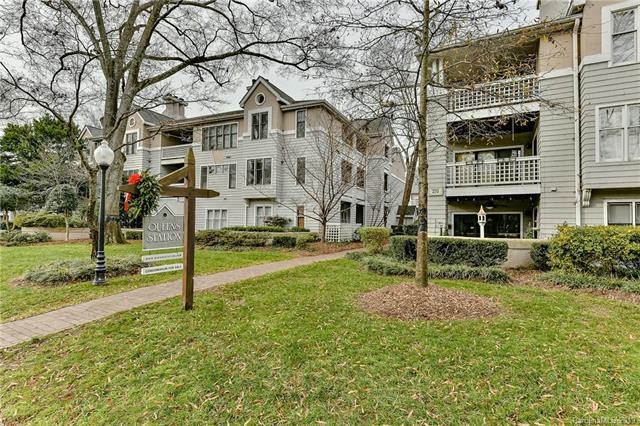 You will enjoy everything about Queens Station, and its in a fantastic location close to many great places around the exciting, growing city of Charlotte. Many public parks surround the area and Charlotte has great nightlife as well. The Bank of America Stadium and Time Warner Cable Arena are within two miles, so all sports fans, you don’t have to go far to see a great football or basketball game! Many concerts and other events are held at the Bobcats arena and throughout Charlotte, so it’s great that Queens Station is set in this wonderful location. You don’t want to miss out on your chance to enjoy life in one of these fabulous condos!